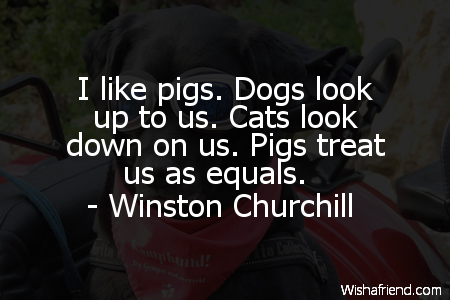 Winston Churchill Quote: I like pigs. Dogs look up to us. Cats look down on us. Pigs treat us as equals.